To make a payment click on the Pay Now button directly below. This will take you to PayPal’s site, where you can also pay by credit or debit card, even if you do not have a paypal account. Simply choose the number of $1 units. For example, if you’d like to reserve a boat tour for $100, choose 100 units of $1 each. You can also pay in BITCOIN (just contact us for that). 1.Could you make the route from Coron to Coron if I have enough people(or you organize group for me)? Cause it will take me at least 5 hours from EI Nido to the Puerto Princesa Airport, I don’t want to go to EI Nido. 2.Could you pick up us on Culion Island? 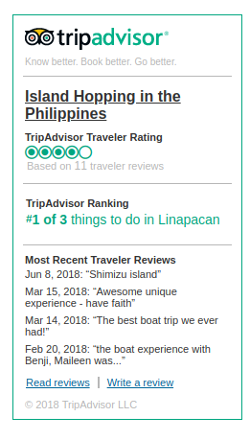 Cause I’ll stay on Culion Island for 2 days, I think it will save time if I go to Linapacan Islands directly from Culion Island. 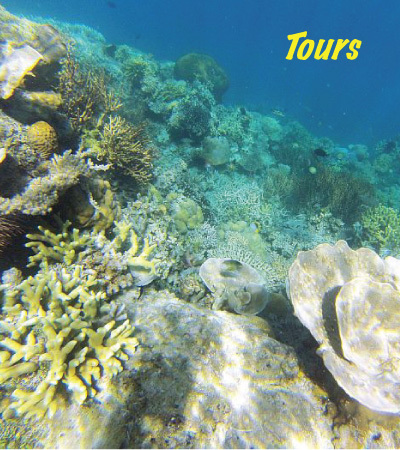 3.Do you provide 4 days & 3 nights Linapacan Islands Tour? If you do, how much? 4.Is the price of fishing excursions 300 peso per head or per boat? 5.I know you provide Ship Wreck at Gui, Sidsid and Patuyo, which spot is the best? Is’t for diving, discover scuba diving or free diving? Dose the diving include gear? Can Discover Scuba Diving? If it can, how much? Looking forward to your reply, meanwhile, hope you send E-mail to me, thank you! 1) Can be pretty well anything if the boat is available and paid for. If you organise a group then it will be cheaper per head. If a group is combined then some compromise could be sought. They usually dock in San Fernando, which is about one hour east of El Nido. 2) Possible, but again, depends on (1) and if another group is already booked etc., but everything can be flexible. I know multiple boat operators as well. 3) Custom orders should be arranged in advance but the prices should be relative. 4) Usually should be about 1000p per boat. 5) Diving includes gear but haven’t managed to get details from operator yet. We are also saving up for our own gear. To comfortably travel through this area you should give yourself at least 7-10 days to give yourself enough time to see some of the beautiful nature spots, and then about 3-4 days for a boat tour. The ferries to and from Manila do not run every day and it can be stressful worrying about flight connections. Me husband and I are interested in doing one of your boat tours but we weren’t sure if the weather was going to be cooperative. On your FAQ page you mention that the waves can get big in February. We’re going to be in the area approximately 1/15-1/26. You can always check out the kitesurfing page which shows a weather/wind/wave forecast from two services. I’d say something over two metres would start to get scary for some, exciting for others. I’m told they can get as high as 4m. The local coast guards usually shut down the public ferries whenever the waves get above around 2m, while the private boat operators might continue. The greatest danger is if an engine fails and the boat starts to drift. The best option is to find an operator who takes care of his engines and has a backup (two engines) on board. I have a paid subscription with windguru.cz which allows me to see the forecast more than a week in advance. Sometimes I’ll make my own judgement call against the operator’s. Hi we are interested in staying at the kitesurfing place, but don’t know yet if it will fit our itinerary..how long would you recommend us to book in advance in order to get all the information on how to get there exactly? Or is it possible to just show up? What would be the price if we bring our own tent and do you serve food there? 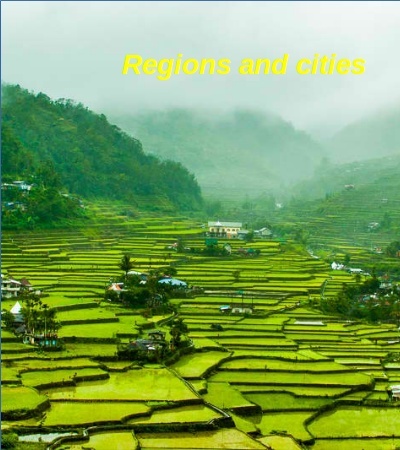 Hi Ben, you should check out my suggested travel itinerary for the Palawan area to help you plan your trip through here. It is possible to just show up, as I have almost 30 tents now, but you’d need to book in advance if you want to reserve a special one for yourself, details here. Also, make sure to at least inform me to pick you up or on your way, as there is no shop or restaurant on the island (except some homes can cook you rice and fish if they have caught extra that day) and guests need to help bring in food (I’ll pay for it once you get here). 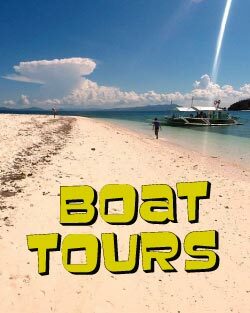 My friend and I are interested in booking a boat tour from Coron to El Nido from 27th Jan to 29th. We would be interested in either joining a group or creating one (I can’t see how to put in a request on you boat tour page?). We’d be happy either camping or staying at family’s houses. Are there any groups planned to go these dates that we could join and what would that cost? I’d also be interested in kitesurfing, do you do lessons? I’ve been several times but I don’t have my own gear wouldn’t be happy to go out alone. Sent you PM. Can’t offer kitesurfing lessons yet but getting there! I am coming to El Nido on 8th Dec and spending a few days diving. I will be bring my own gear with me, excluding weights and cylinders, so it’s just renting those, plus boat plus dive guide. I am a PADI Advanced Open Water plus Nitrox certified (just over 100 dives completed). There are apparently two shipwrecks in this area, with the clearest waters in the world, but I have not used any of the diving services yet. In the process of collecting info, but there are three diving organisations operating here at the moment. Can you kindly help me with my tour. So, we will be staying in Coron in December for four days. Then we plan to go to El Nido. But then I came across the Linapacan Island and since it is between Coron and El Nido, might as well stop there. We plan to stay maybe for 2 or 3 nights in the island. From Linapacan Island, would it be easy to book a boat going to El Nido? Likewise, what boat should we take going to Linapacan from Coron? If you are short of time and have the budget, a private boat tour is better, so that you can see more places. Otherwise the public banca ferries go about three times a week in either direction. 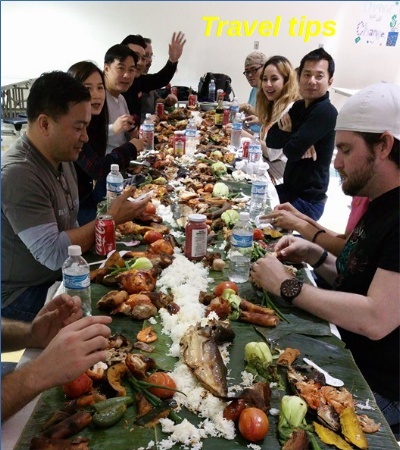 Check out my suggested travel itinerary for the Palawan area to see the various sites you can choose from. Happy travels! Thanks Sailor Sam. I think it would be nice to stay 2 or 3 nights in Linapacan before going to El Nido. Definitely a worthwhile stop between the hustle and bustle of Coron and El Nido. 52 islands around here, mostly deserted, great place to relax and explore. We are two French, me and my girlfriend Camille! If you can offer us a private course in the islands around Linapacan or we will ferry ride from Coron. We will arrive in Coron April 12, 2017 at 13h 20 with a flight from Manila and set off again on April 19 to shackle a flight at 16:20! We want to visit Coron, these lakes, the lagoon and make a dive on a wreck and a path around Linapacan at least 3 days. The problem is that we do not know the day or we can join Linapacan and leave! can you help us organize our stay? We want to snorkel, fish, see the most beautiful sites and uninhabited, through wild areas on foot and discover the culture and the islanders. Hi Loic. You can check out the public banca ferries for their dates. If one is not departing shortly after your arrival to Coron I can look for a boatman for you. Whether a boatman picks you up from or takes you to Coron, he can also take you to some of the lagoons around it, saving you the fee of a local tour. I have a boatman in Coron but a little more expensive, so about 17,000p for about four day tour. My other boatmen are in Linapacan, so they would have to make two trips if you wanted pickup and taking back. If only one of the two, it would be cheaper, depending on the size of the boat. If you manage both legs by the public ferry, a local tour would cost about 2000p. This can be combined with tenting on a deserted island, pick up the next day. My boyfriend and I have booked a private boat tour for two for April 2019. So far Karel has been very reactive to answer our many questions. We now look forward to defining all details with the boatman and just going for it! As for the partial advanced payment, so far we are very happy with the system. The interface is very practical because it relies on Paypal. One doesn’t need to have an account though, a simple credit card will also do.